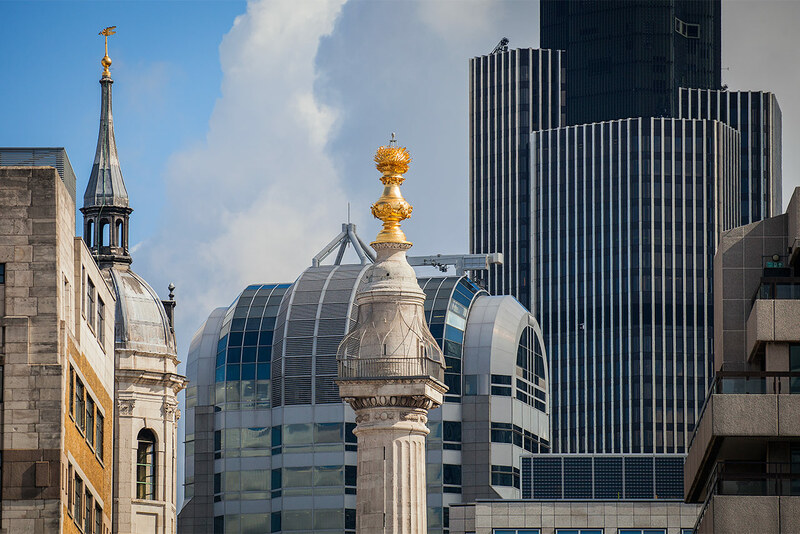 The Monument, one of the capital’s most famous landmarks commemorating the Great Fire of London, is a fluted Doric column in the City of London, near London Bridge. 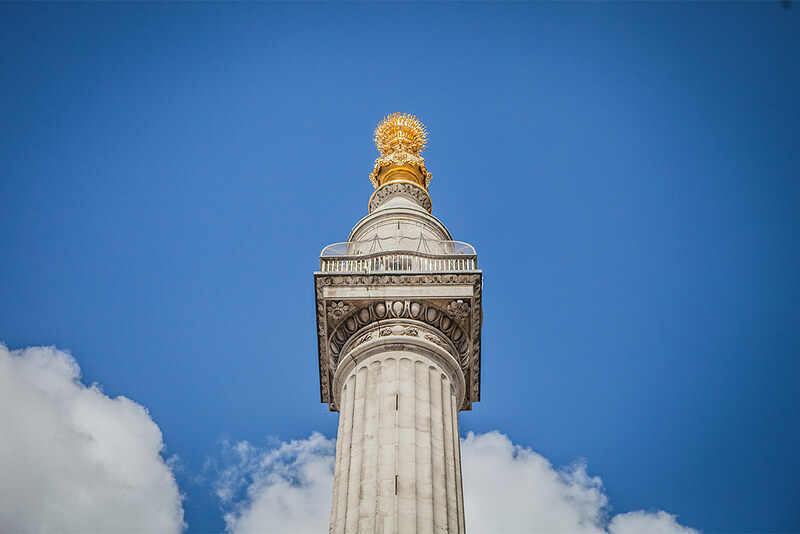 The 70 metre tall London Monument underwent an 18 month programme of essential repairs, improvements and restoration work, to ensure the public could enjoy panoramic views across the city in complete safety. For this project Littlehampton Welding fabricated and installed the 2 metre high Stainless Steel balustrade ‘cage’, designed by Julian Harrap Architects. This replaced a traditional 1950’s iron bar structure, and was lifted in place by crane in two separate sections and welded together in situ. 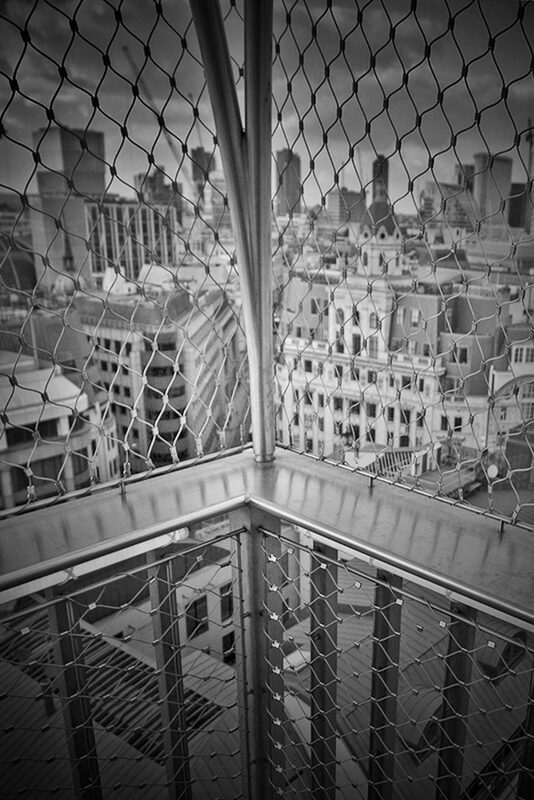 The balustrade is fabricated from grade 316 stainless steel supported off of 32mm solid steel square posts, set into drilled holes in the floor stones and grouted into position with an epoxy grout. The top of the balustrade is finished with a 200mm wide 20mm thick laser profiled handrail, welded to the 32mm square support posts. 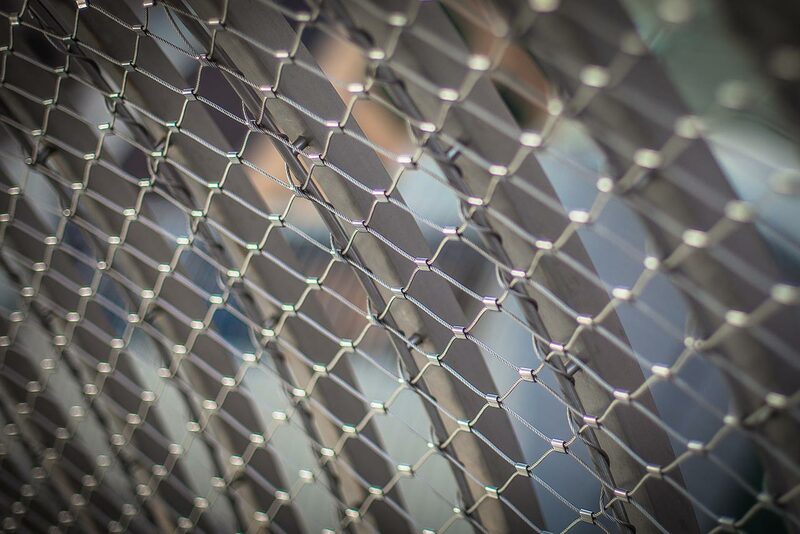 A woven mesh covers the inside face of the vertical support bars. 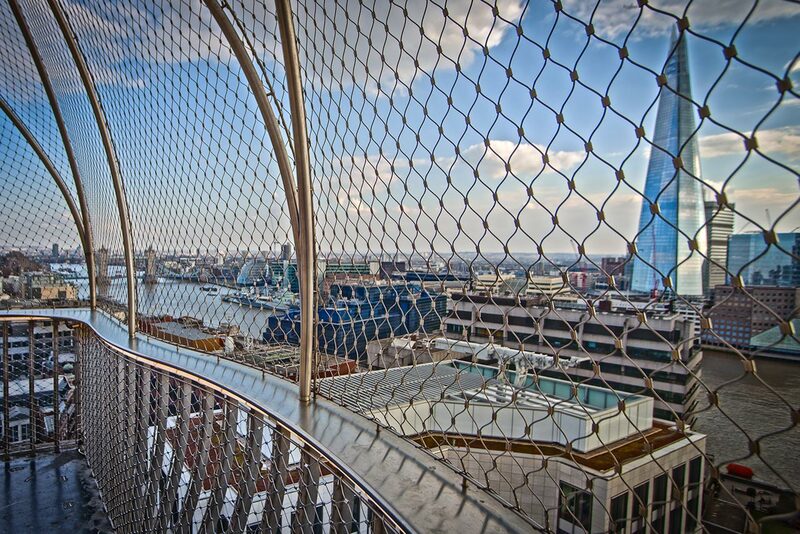 The grade 316 stainless steel woven mesh enclosing the balcony is secured to a radial arrangement of stainless steel tubes 42.4mm and 24mm diameter solid rods supported between the upper ring and the handrail. 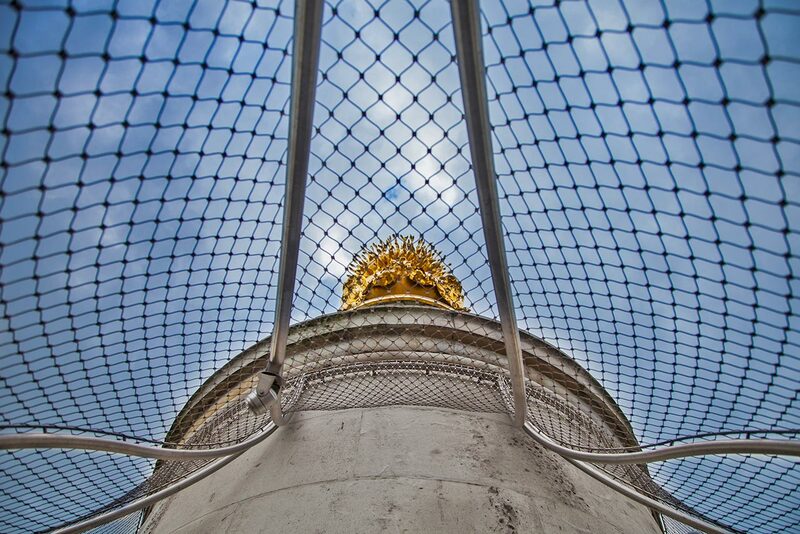 The upper 42mm diameter support secured to the monument by means of radial M10 anchor bolts. The ends of the radial supports are screwed to top the handrail using M12 countersunk screws into tapped holes at the ends of the radial supports. 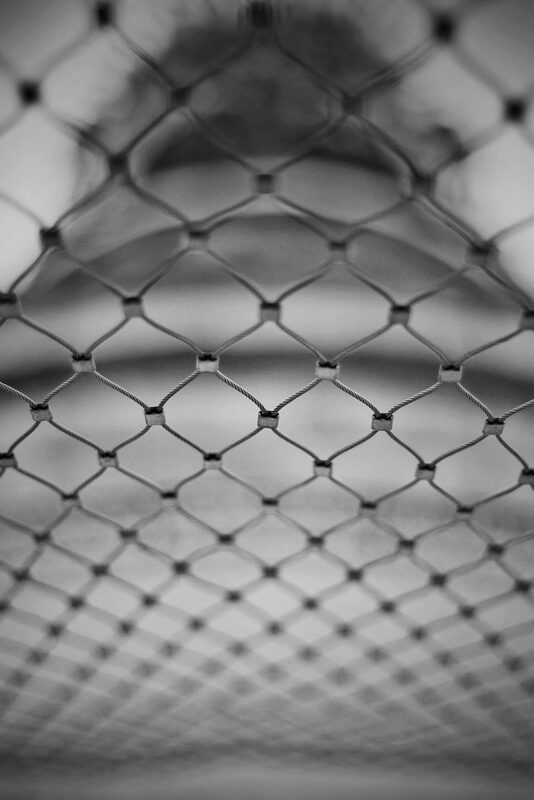 The enclosing mesh is crimped to the radial supports. 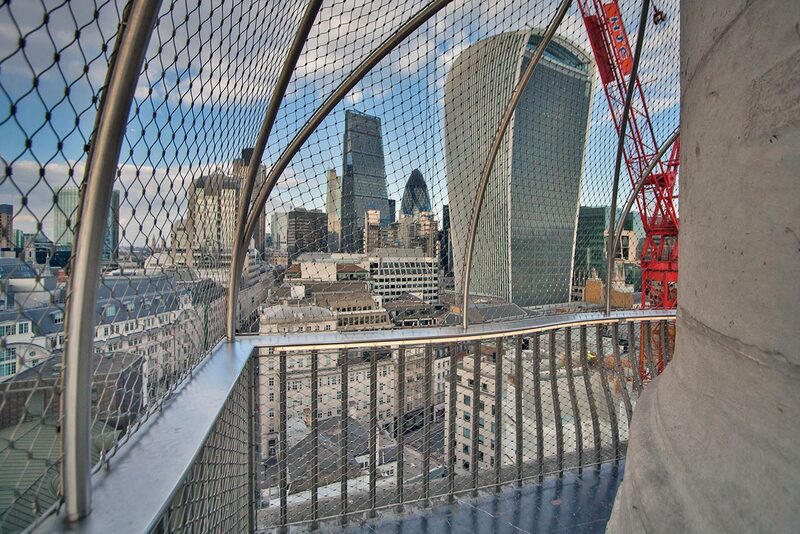 A coin operated telescope is fitted to the south east and south west corners of the balcony, an aspect facing the river Thames.